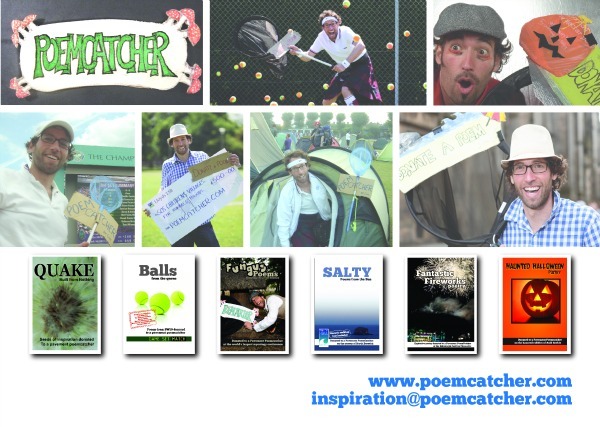 The pavement poemcatcher wanders the streets of festivals and events begging for fresh poems to be written “on the fly”. Nearly every poem that is donated gets published, creating books with poetic snapshots that capture the public experience and delight the reader. 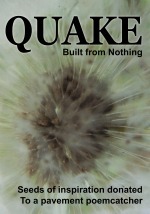 Books can be purchased here. Amazon is easiest for me, as I’m frequently travelling.